Our TENS, and Ultrasound Units are "second to none." 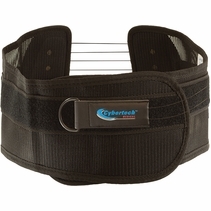 These 2 complimentary modalities are used often by physical therapist and chiropractors. Now you can get the same treatment at home as you do in the office. These COMBO Units come complete with Carrying Case, Electrodes, Ultrasound Gel - everything you will need for immediate use. Plus, when purchasing these items together, you get additional savings. Save time and money. "Bring the office to your home!" ENJOY FREE SHIPPING on ORDERS OVER $100 Today. Our LG-US1000 Professional Portable Ultrasount Unit can be used on a daily basis conveniently from home. Ultrasound Therapy is designed and proven to speed up the healing process. Ultrasound Therapy can be more beneficial if used on a daily basis. It is safe to use the Ultrasound Unit 15 minutes, 3 times per day. 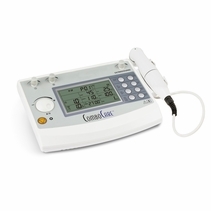 If used consistantly, this Ultrasound Unit will dramatically help the healing process. The LG-US1000 Professional Ultrasound Unit comes with everything you will need including gel to start your therapy. The LG-US1 Professional Ultrasound Unit has a clinical output frequency of 1.0 MHz, just like the clinical units. The LG-US1000 Professional Portable Ultrasound Unit is FDA Approved "as Safe and Effective".. The LG-US1000 is an extremely lightweight device (120 grams) allows you to simply plug it in to a standard power outlet and treat yourself while home or away. Matter of fact, the power adapter is universal, so the unit can be used ANYWHERE in the world! The LG-US1000 Ultrasound is a handheld device with 3 simple treatment settings - Low, Medium, and High. It also includes a built in timer. The LG-US1000 Ultrasound comes with an AC Adapter and Hard Portable Carrying Case. The LG-US1000 Ultrasound is safe and effective to use on a daily basis. It will save you both time and money - no long waiting times and therapy appointments. LGMedSupply's LG-US1000 Professional Ultrasound Unit is easy and safe - designed specifically for the patient to help speed their recovery at home or away from the physical therapist office. LGMedSupply's Ultrasound Ultrasound Unit is being used by thousands of satisfied customers including: physical therapists, trainers, chiropractors, athletes- to help aid and accelerate the healing process. The LG-US1 Ultrasound Unit is SAFE and Simple to Use. The LG-US1000 Ultrasound Unit is designed with a Unique "Output Control", so the unit cannot be overused and provide too much heat to the tissues. How do I use the LG-US1000 Ultrasound Unit? Plug the AC adapter into you electrical outlet. 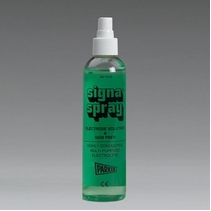 Simply place on the gel on the area (included) and simply go around the treatment area in small circular motions. Use it up to 15 minutes on the area up to several times a day and expect to see rapid improvement. LGMedSupply's LG-US1 Portable Home Ultrasound Pain Relief Unit also includes a 5 Year Warranty, and a Satisfaction Guarantee! Order Yours Today and Heal Fast! 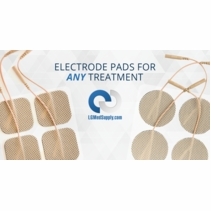 Whether you have used a TENS Unit before, or purchasing for the first time, your decision to purchase a TENS Unit will be one of the best and most cost effective decisions you will ever make. Imagine living a life that is PAIN FREE. Imagine being able to do the things that you once enjoyed without pain! How would that improve your quality of life? The LG-7000 has helped thousands of patients achieve great pain reductions. 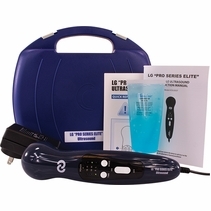 LGMedSupply LG-7000 Professional Digital TENS Unit relieves pain quickly and effectively. A TENS Unit is a simple device to use. 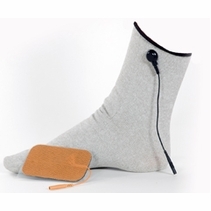 Most people do not understand how a TENS Unit helps to relieve pain. It is actually very simple. The LG-7000 TENS Unit simply sends a small electrical impulse that overrides the pain receptor (nerves) to the brain. Since the TENS impulse overrides the pain receptor, the goal is that the brain will not "interpret" the pain or the degree of pain. This is a "drug-free" solution that many people are not aware or even educated about. How nice would it be to use something that truly works to relieve pain without the cost and side effects? 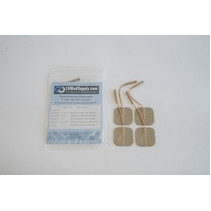 Electrode Pads are placed near or around the areas in pain. Because it is Dual Channel, you can use 2 or all 4 Electrode Pads at the same time. 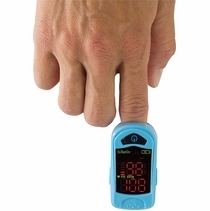 You control the pulse width, pulse rate, and intensity to find the best setting for you. The best part is you can use it as often and as long as you would like! Whether you have back pain, foot pain, neck pain, shoulder pain, elbow pain, or any other pain in the body (acute or chronic), the LG-7000 TENS Unit will provide you with fast relief If you have used a TENS Unit before, that obviously you are aware of the benefits. If you have never used a TENS Unit, then this small battery operated device may be the ANSWER you are looking for! LGMedSupply units are recognized as one of the very best on the market. 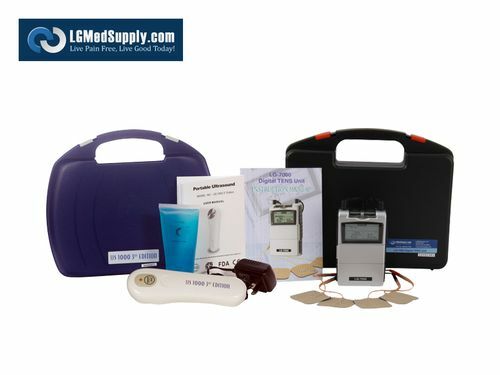 LGMedSupply's LG-7000 TENS Unit comes with a Satisfaction Guarantee and a Three Year Warranty. The LG-7000 is in-stock and available for immediate shipping. 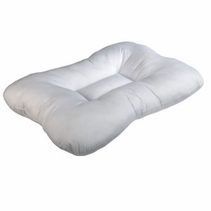 Join the tens of thousands of patient that are benefiting from TENS therapy. Check out our reviews below and see how the LG-7000 has helped so many patients achieve pain relief! Battery and Recharger which is an excellent option which is a 9 volt battery and charger which will save you money in the long run and help you get the most out of your new TENS Unit. You will not have to buy more 9 volt batteries that can get expensive. 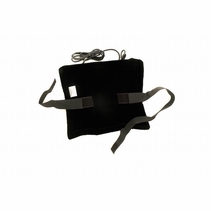 TENS Units are used for many types of pain including Rheumatoid and Osteo-arthritis, Back pain, Menstrual Pain, Labour Pain, Peripheral Nerve Injuries, Shingles, Headache and Migraine, Cancer Pain, Trigeminal Neuralgia, Phantom Limb Pain, Sports Injuries, Sciatica, Aching Joints, Post Operative Pain, Muscular Pain, Whiplash and Neck Injury and many others. Don't forget to check out our Additional Pain Relief units, such as the "PRO SERIES" Portable Home Ultrasound Unit. Ultrasound Units help speed the healing process by reducing inflammation and swelling. 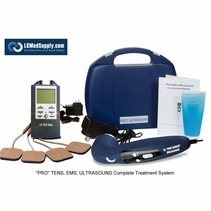 The "PRO SERIES" Ultrasound Unit and LG-7000 TENS Unit make for excellent combination therapy. Many of our customers like to utilize both. On Low Frequency: The lower frequencies, 2-5 Hz, are believed to cause the body to react. The reaction creates natural painkillers, or endorphins. The endorphins block the pain naturally and while popular, this isn't the usual method of using TENS. On High Frequency: For more intense pain, higher frequencies, 90-130 Hz, work to actually interrupt those pain signals being sent to the brain. This is the most common use for the machine and while you start slow, it's not uncommon to need to up the frequency to find the best block.